The aim of the project is to implement and demonstrate at large scale the long-term technological and economic feasibility of an innovative, sustainable and efficient solution for the treatment of high salinity wastewater from the F&D industry. The SALTGAE solution consists in the implementation of innovative technologies for each step of the wastewater treatment that will promote energy and resource efficiency, and reduce costs. 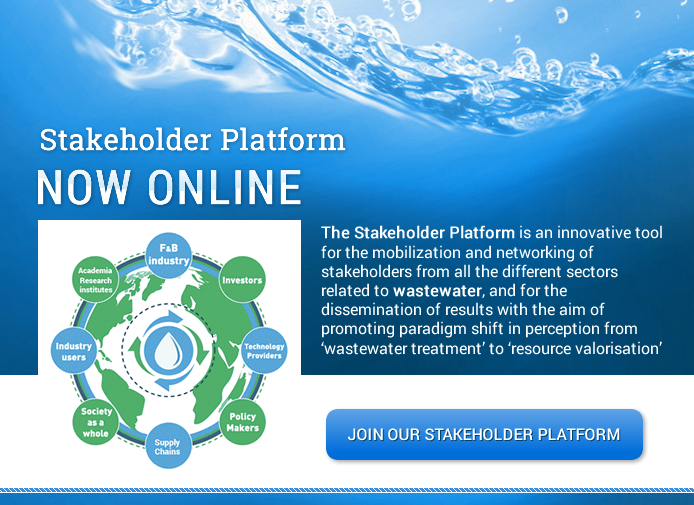 The project will also address cross-cutting barriers to innovation related to wastewater by developing a platform for the mobilization and networking of stakeholders from all the different sectors related to wastewater, and for the dissemination of results, enabling the development of a common roadmap for the alignment of legislation, regulation and pricing methodologies and promoting financial investment and paradigm shift in perception from ‘wastewater treatment’ to ‘resource valorisation’. Enco is in charge of developing a tailored communication and dissemination strategy to broaden the impacts of the results generated by the SaltGae activities. Enco is in charge of design and implement an effective exploitation strategy and a proper plan for the management of IPR arising from the SaltGae activities. Enco is in charge of developing an innovation strategy to fully realise the techno-economic potential of the SaltGae project by addressing key barriers to innovation and facilitating take-up and investment along the SaltGae value chain. The main activities carried out are: identification and mobilisation of stakeholders, implementation of a stakeholders platform, definition of a strategy and a roadmap for the short, medium and long term.